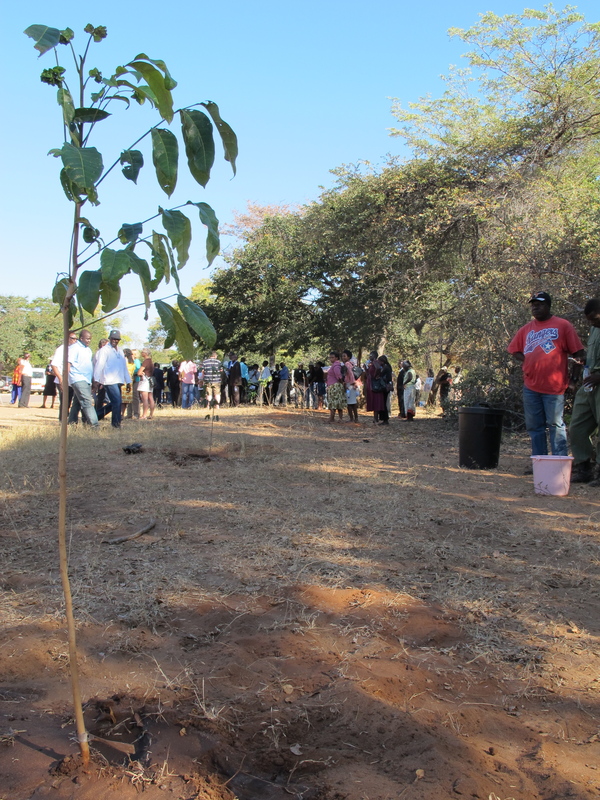 From the Tree Planting Ceremony, ATA delegates hop back in to the buses, cars, vans and head just a few kilometers down the road to a community-based tourism project just near Victoria Falls, Zimbabwe. 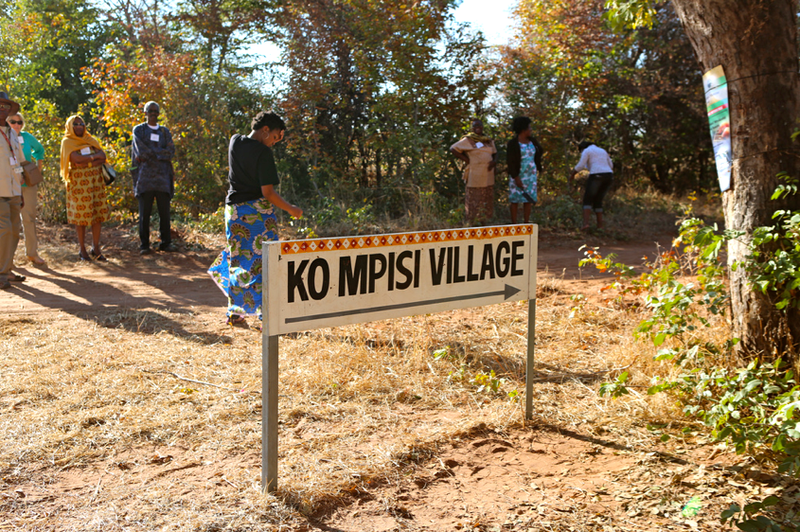 Between the trees, we see an opening that leads us to a dirt road marked by a Ko Mpisi Village sign leading us to our next stop for the day. We drive down the hill as the sound of the drums beating and song fills the air. Road to Ko Mpisi Village (Photo by: Matt Andrea). We take our seats on straw mats carefully placed on the floor under the shade of a thatched awning. 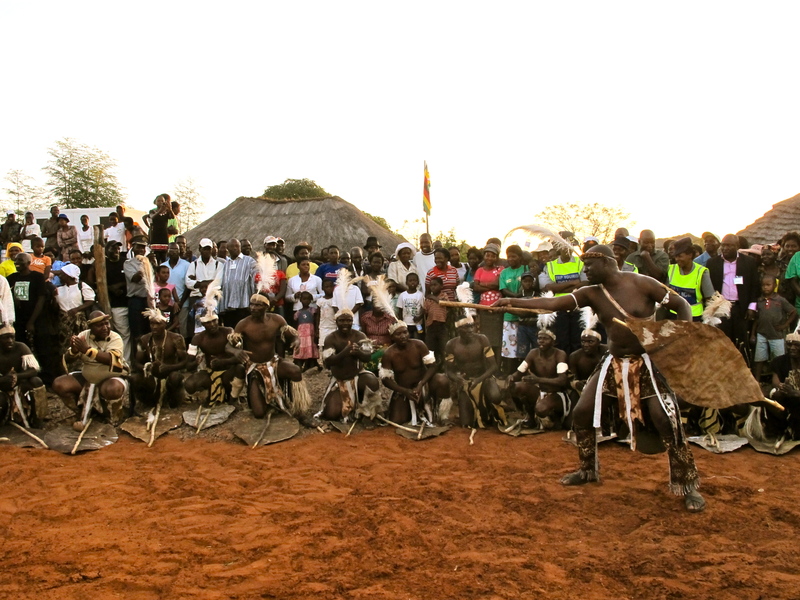 The community members are already seated in a circle around the area where the cultural performances are to take place. 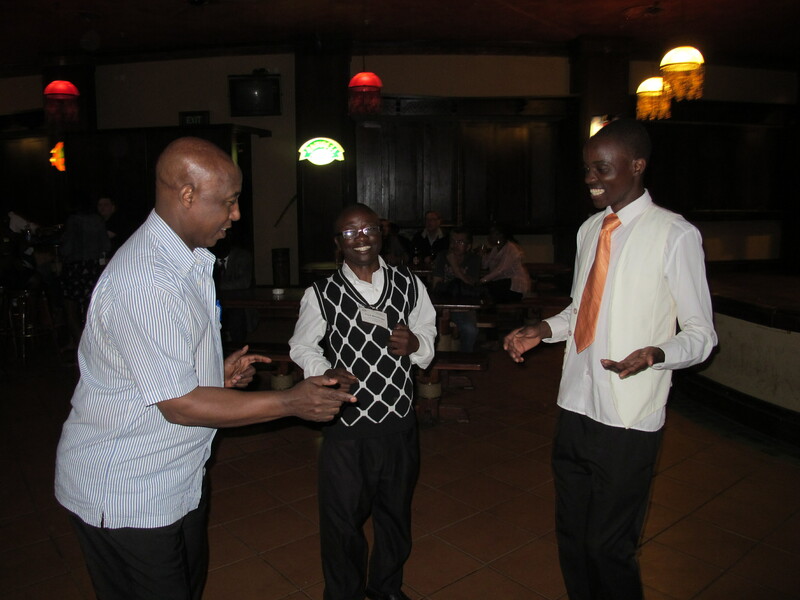 It seems like they are as excited about our arrival as we are to be in a local community. 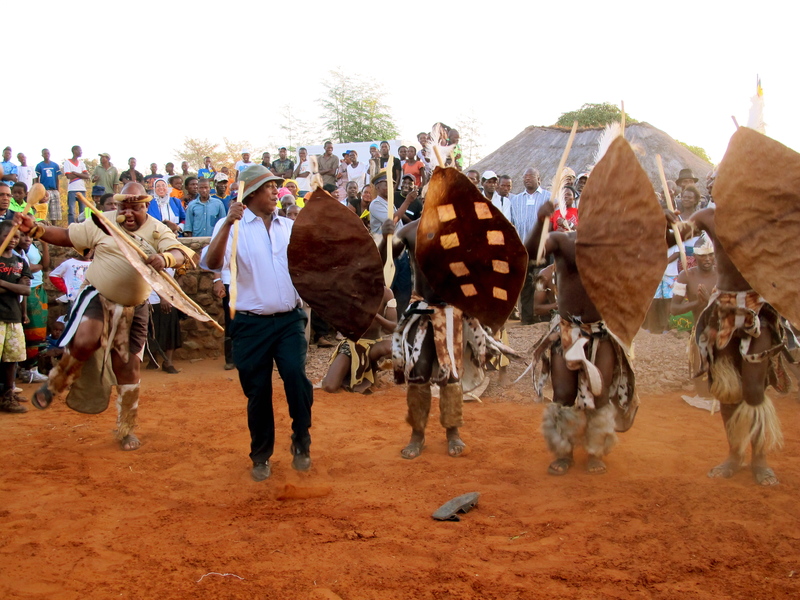 Chief Mvuthu “welcomes us home” to Ko Mpisi Village, which is echoed by an a cappella music performance by a local dance troupe. Welcome home, all of you. Feel at home. We love you. And, as customary when you are “home,” you eat together. First, members of Zimbabwe Tourism Authority (ZTA) and the local community wash our hands before we are invited into the kitchen. 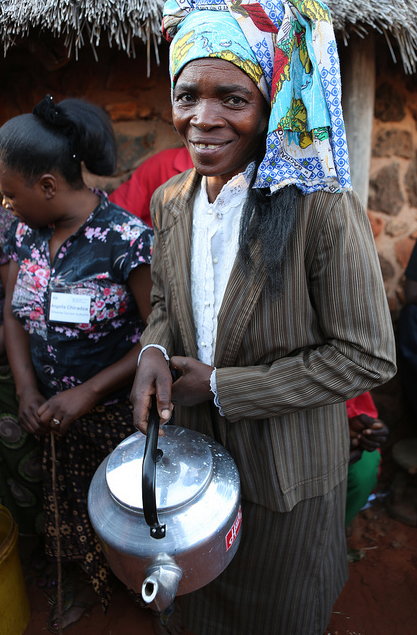 A woman from the community washes our hands before we eat (Photo by: Matt Andrea). Then, they generously fill our plates with…. You can take Pierre Thiam out of the country, but you can’t take him out of the kitchen! 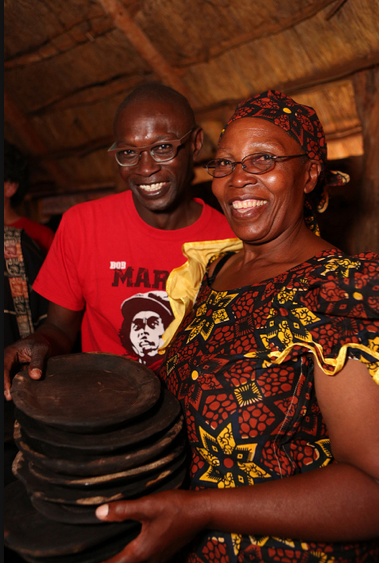 Senegalese chef Pierre Thiam anticipates trying the local cuisine (Photo by: Matt Andrea). 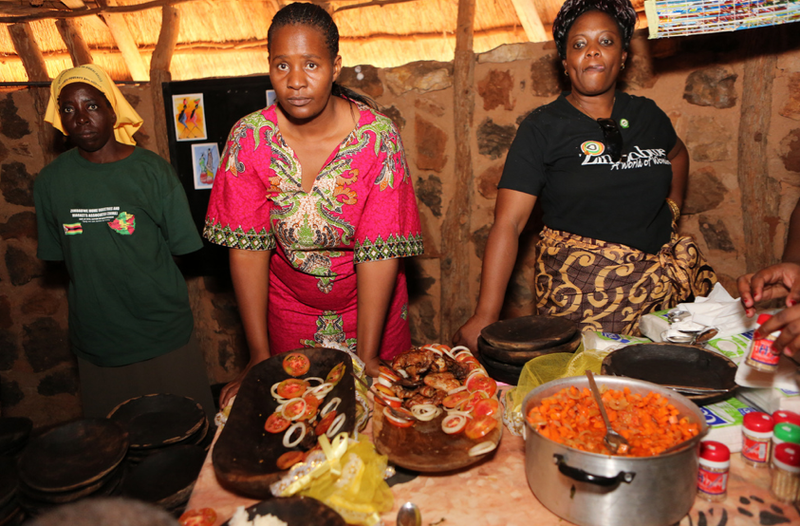 ZTA staff and local community members serve traditional Zimbabwean dishes (Photo by: Matt Andrea). 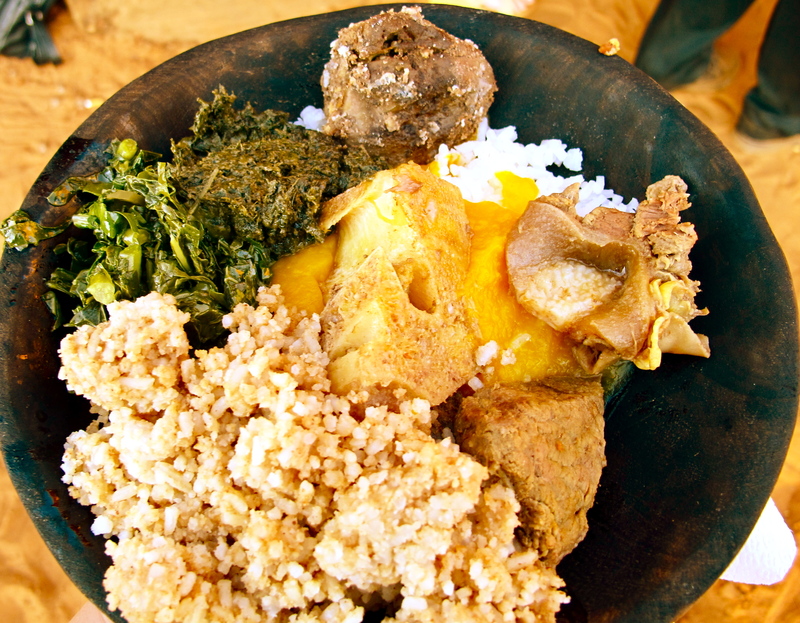 Delicious dinner served in Ko Mpisi Village (Photo by: Andrea Papitto). 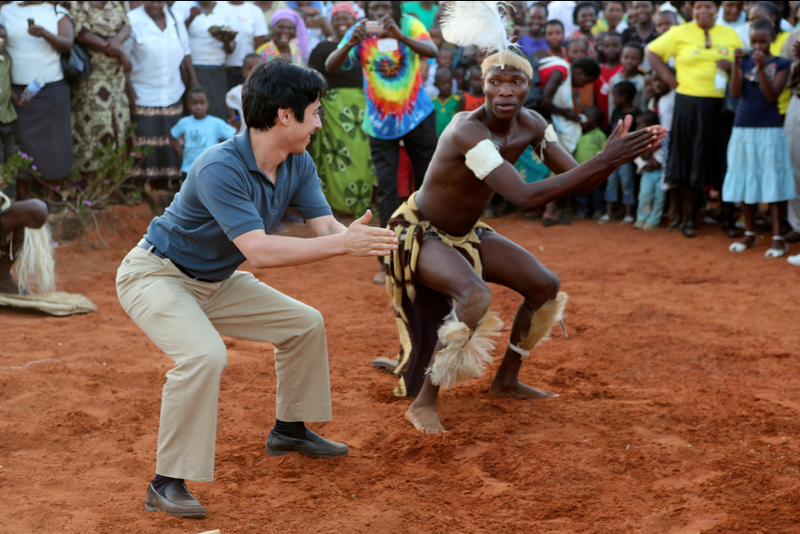 Cultural performance in Ko Mpisi Village (Photo by: Andrea Papitto). 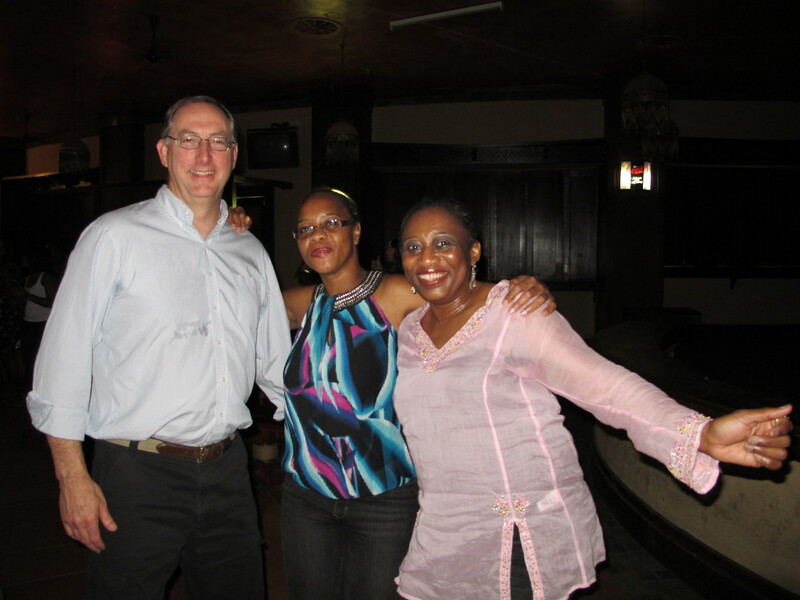 And a few delegates couldn’t help but join in…..
Warmly and humbly, we feel at home. 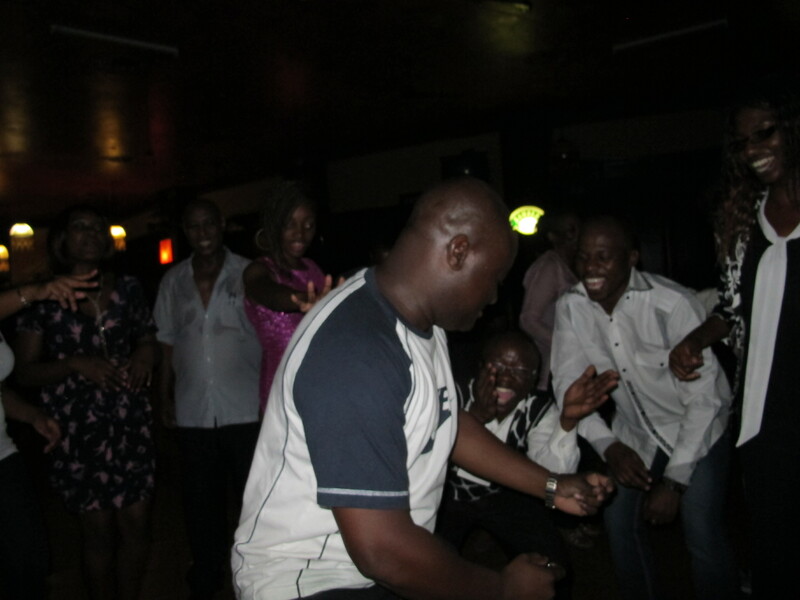 ATA Executive Director joins in the dancing (Photo by: Matt Andrea). 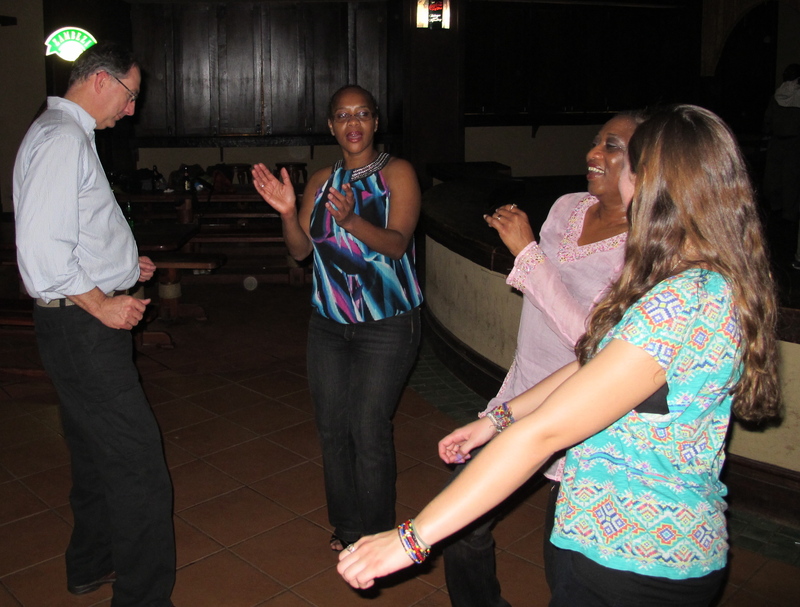 Dr. Yohannes Zeleke, ATA Mid-Atlantic Chapter President joins in (Photo by: Andrea Papitto). 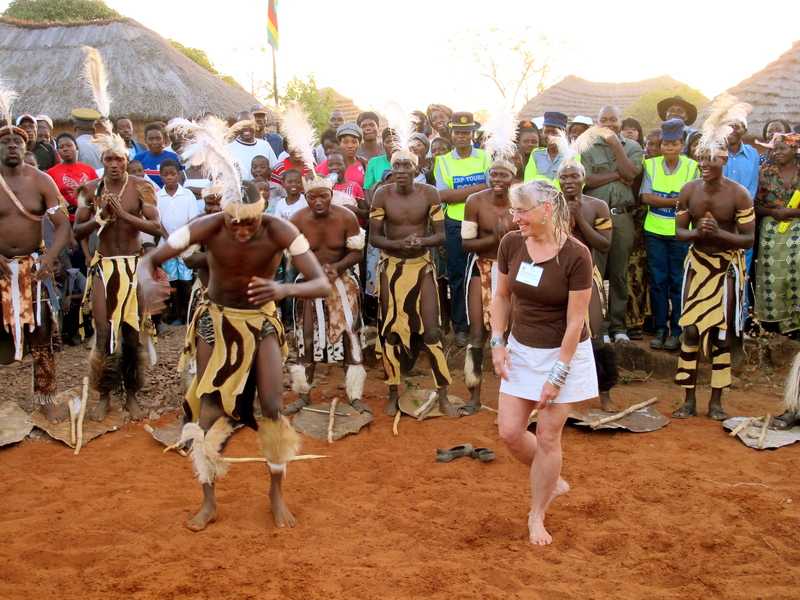 Cindy Ross dancing in Mpisi Village (Photo by: Matt Andrea). 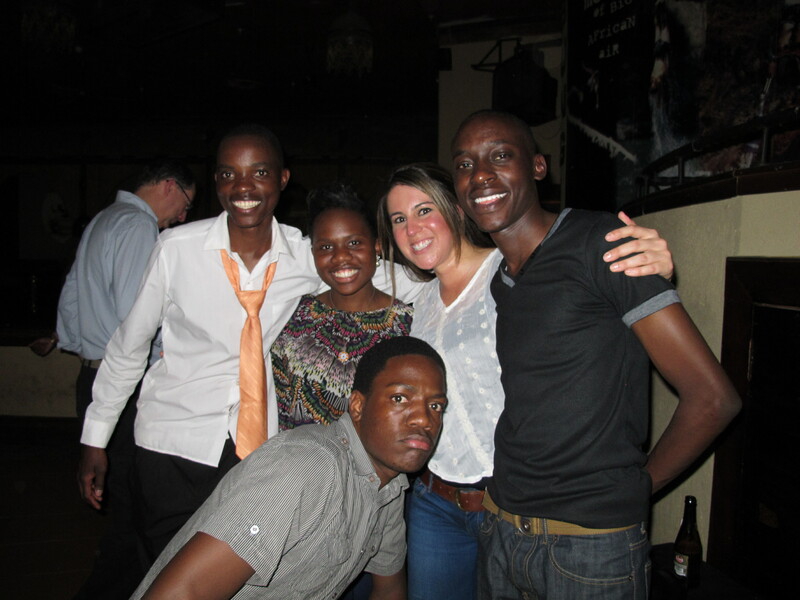 Celebrate Africa YPP Social Night, just after the braai. 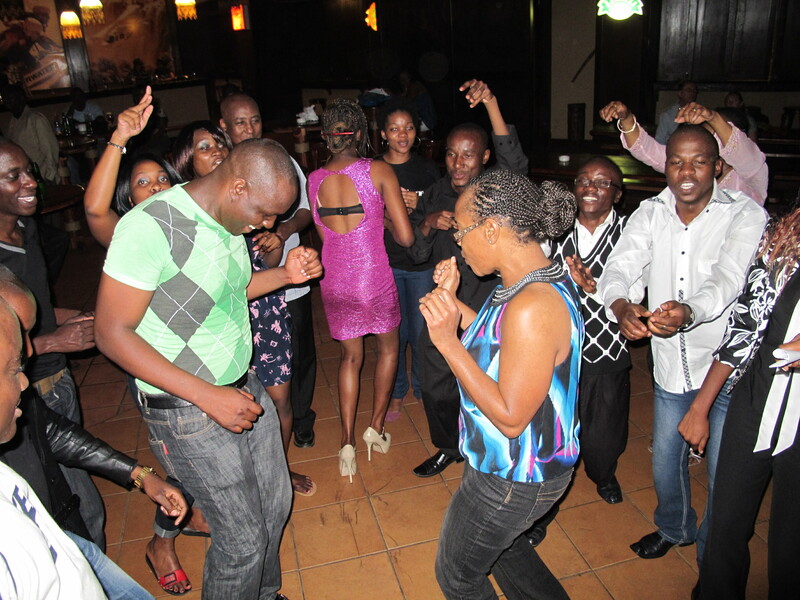 The energy from the YPP Forum carried over to the Third Annual Young Professionals Program (YPP) Social Night. 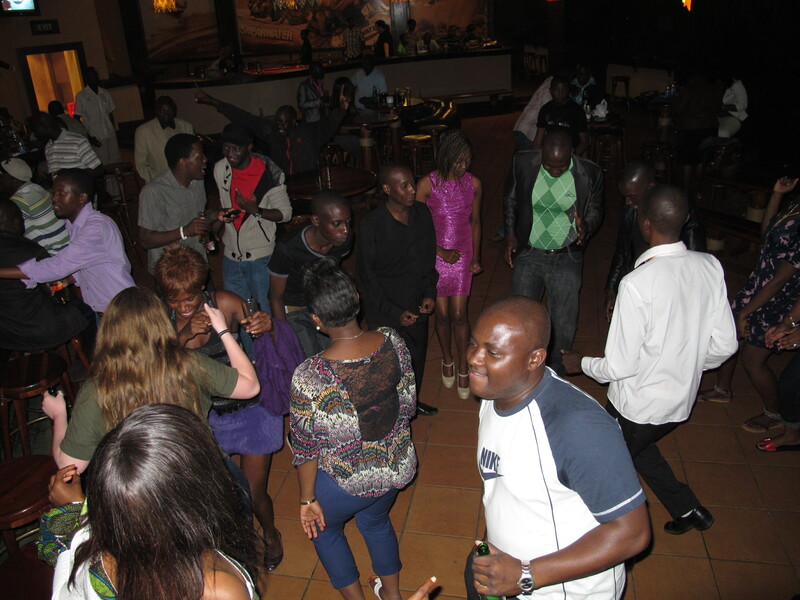 On Sunday, May 20th, 2012, ATA’s young professionals hosted the 3rd Annual Celebrate Africa Social Night at The Kingdom Hotel in Victoria Falls. 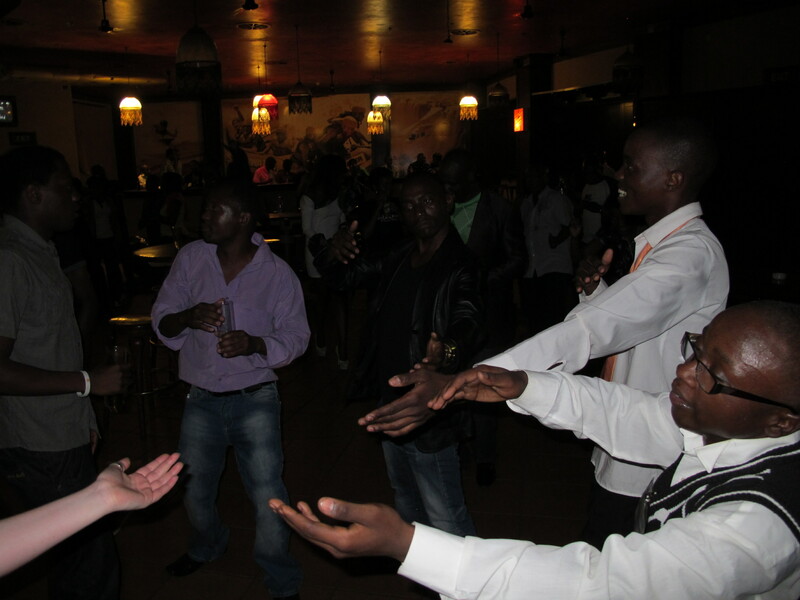 This evening was a time for all delegates to revel in African music, cuisine, dance, and Zimbabwean culture. 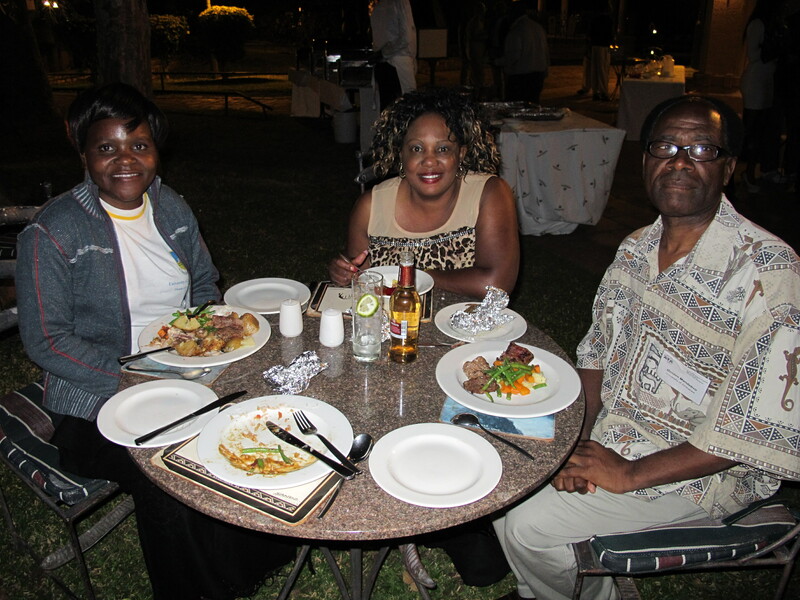 Attendees began the night with a traditional braai barbeque dinner at the poolside garden. Barbeque chicken, steak, and pork were steaming on the grill. 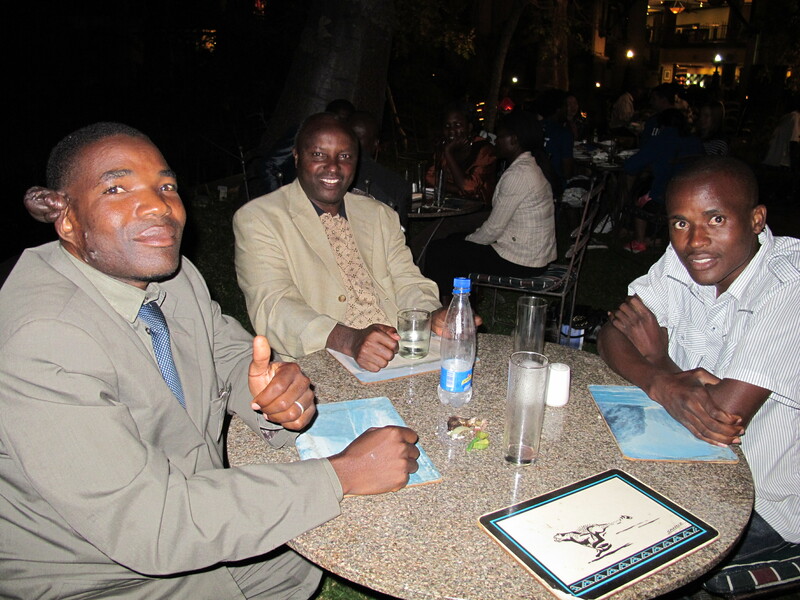 Pairings included salad, rice, traditional Zimbabwean sadza, and a lovely assortment of desert. 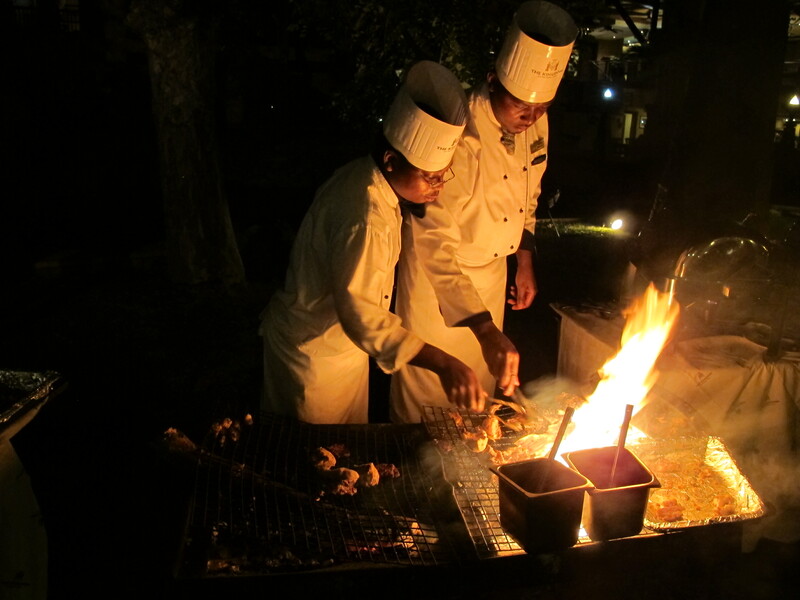 Chefs at the braai (Photo by: Andrea Papitto). 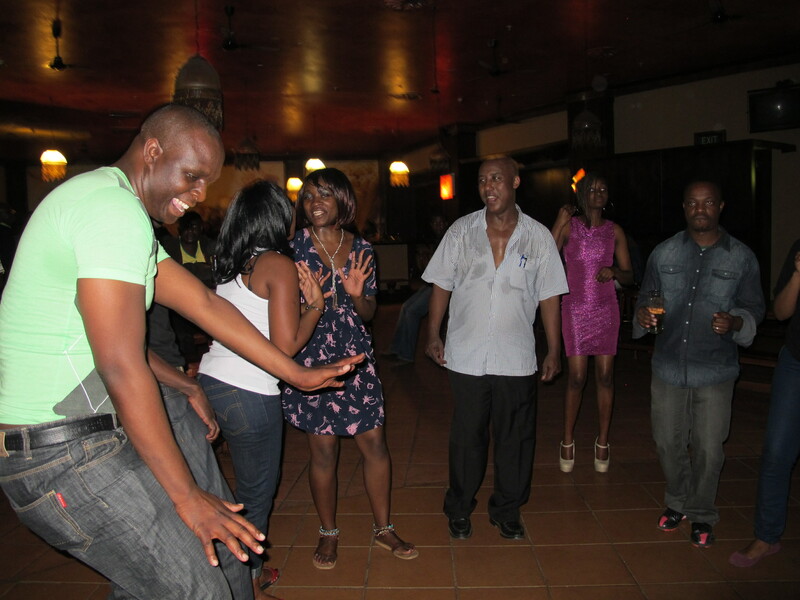 After much merrymaking, the group moved to the Wild Thing Action Bar inside the hotel, which is known for its dance music…..And that we did. 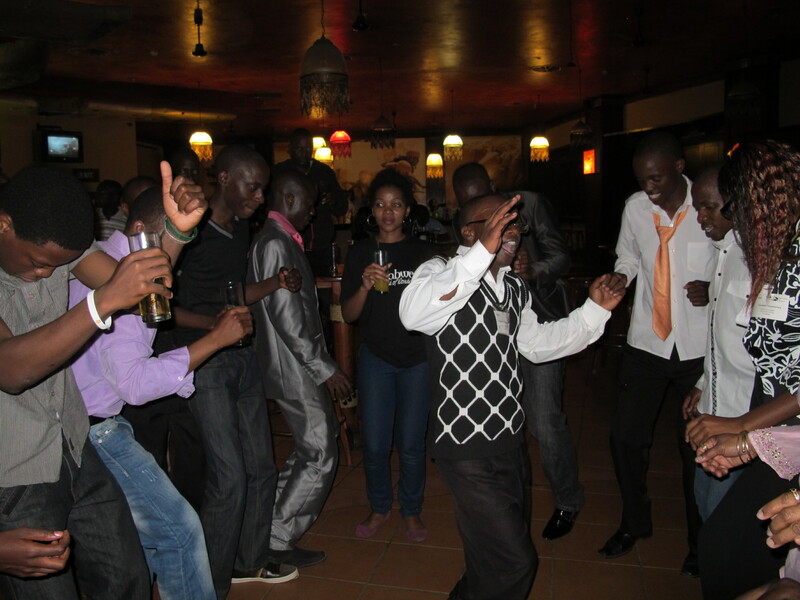 We danced, danced, danced…….. 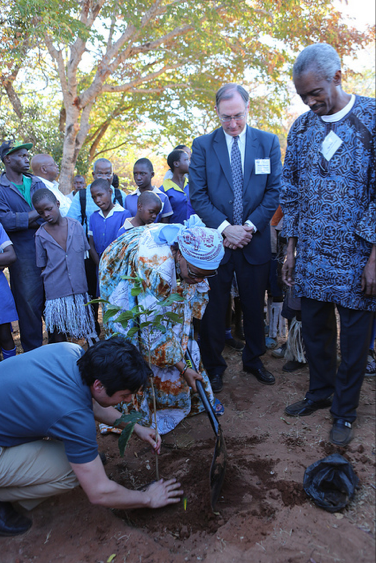 The inaugural seed for the Tree Planting Ceremony was planted in Banjul, Gambia three years ago at ATA’s 35th Annual Congress. 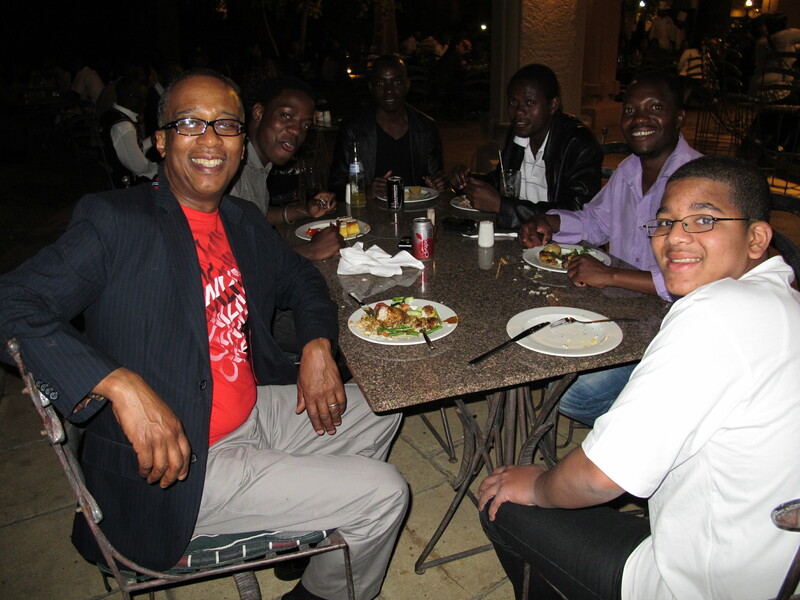 The tradition continued with ATA delegates planting a dozen trees on the campus of Cheikh Anta Diop University in Dakar, Senegal in 2011. 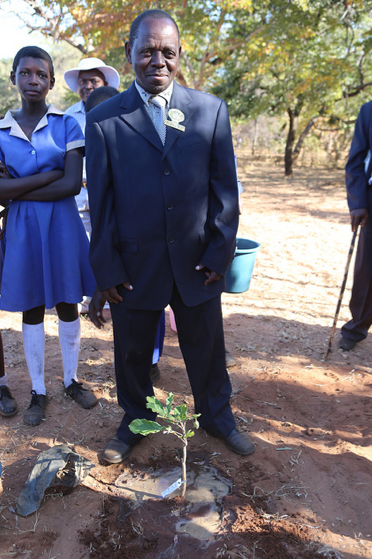 This year, 12 miles from the Elephant Hills Hotel in Victoria Falls, ATA and the Zimbabwe Tourism Authority (ZTA) sow the tradition of planting trees to offset the carbon footprint of the Congress. 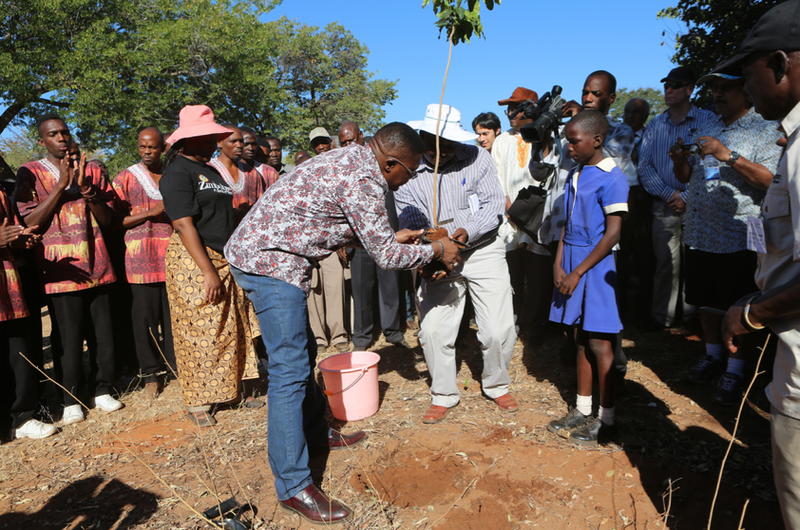 The Host Country Day Tree Planting Ceremony is a time when we break from the lectures, panels, and powerpoints to step out of the conference room and into the local community–this year visiting the Ko Mpisi Village, 12 miles on the Vic Falls-Hwange Road. After a short drive from the hotel, we pull over and are guided to our places. Men sit under the shade of the canopy and women under the shade of the trees. We listen as Chief Mvuthu of Mpisi Village; Zimbabwe Minister of Tourism and Hospitality Industry, Engineer Walter Mzembi; Mr. Givemore Chidzidzi, Chief Operating Officer of the Zimbabwe Tourism Authority; and ATA Executive Director Mr. Eddie Bergman deliver welcome remarks and explain the tradition of the Tree Planting Ceremony. 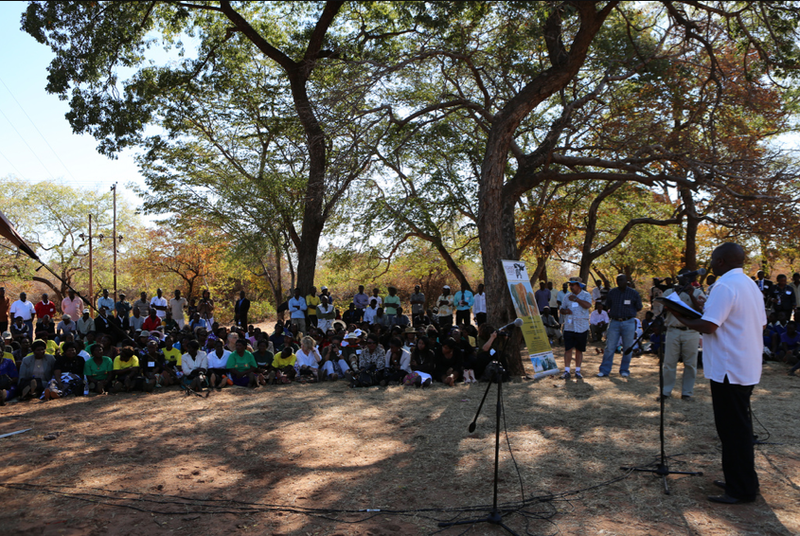 Children from the local primary school tell delegates about the tree species to be planted (Photo by: Matt Andrea). 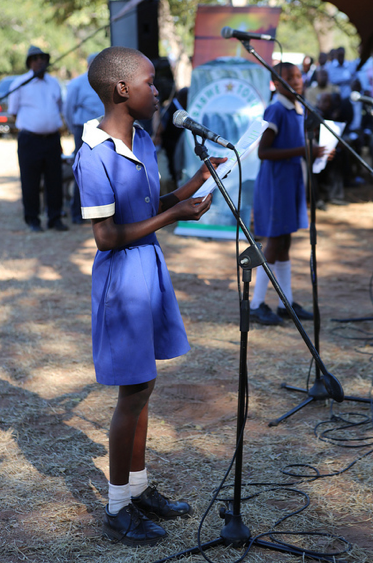 Children from the local primary school recite descriptions of the indigenous tree species we will plant. We applaud as each student finishes his or her recitation. You can feel their pride radiate to the audience as we move from one student to the next. 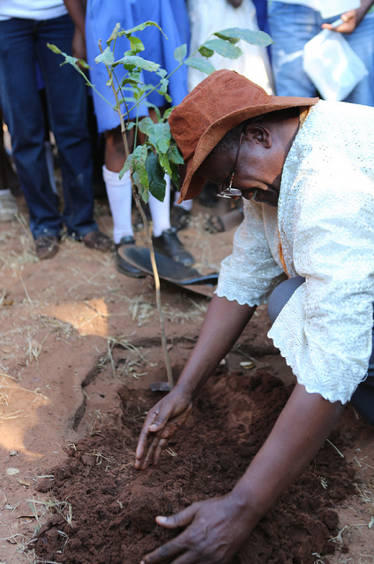 Minister of Tourism, Wildlife, and Heritage of Uganda, Professor Ephraim Kamuntu plants a tree (Photo by: Andrea Papitto). Then, there is an unexpected announcement. The tree planting will not stop on May 20th. 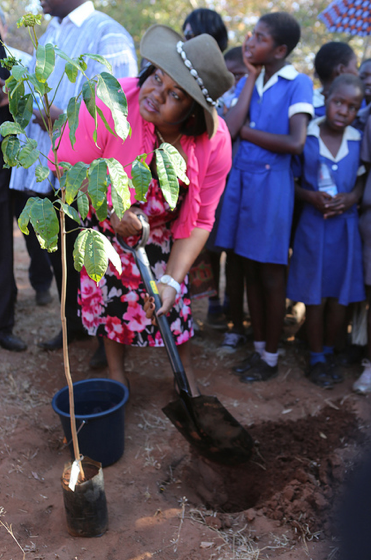 The Zimbabwe Tourism Authority announces that 2,000 indigenous trees will be planted over the next year in collaboration with the local Forestry Commission to honor the Nation’s commitment to conserve and its natural resources. This is the biggest Tree Planting Ceremony to date! We roll up our sleeves, break ground, dig into the dirt, and start planting. 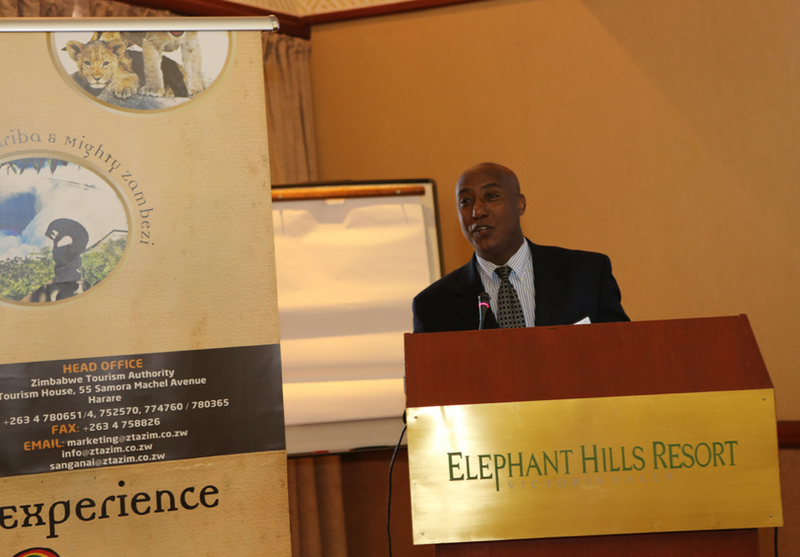 Minister of Tourism, Wildlife, and Heritage of Uganda, Professor Ephraim Kamuntu (Photo by: Matt Andrea). 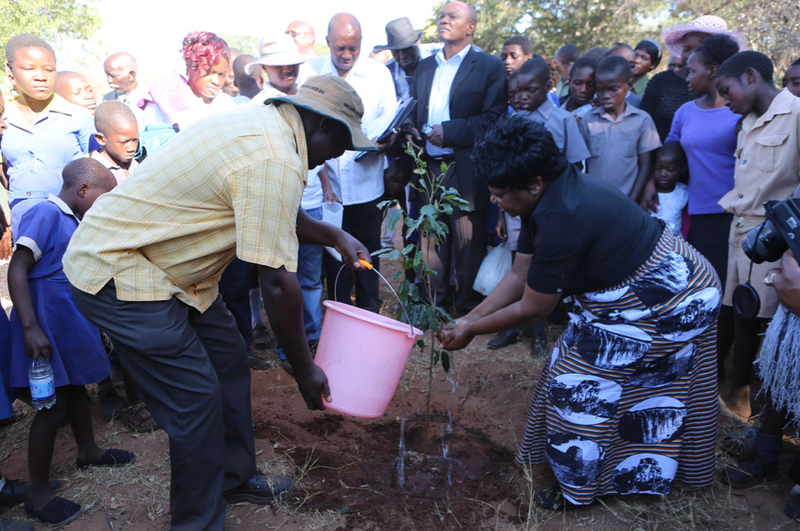 Chief Mvuthu plants a tree for Mpisi Village (Photo by: Matt Andrea). Zimbabwe Minister of Tourism and Hospitality Industry, Engineer Walter Mzembi (Photo by: Matt Andrea). 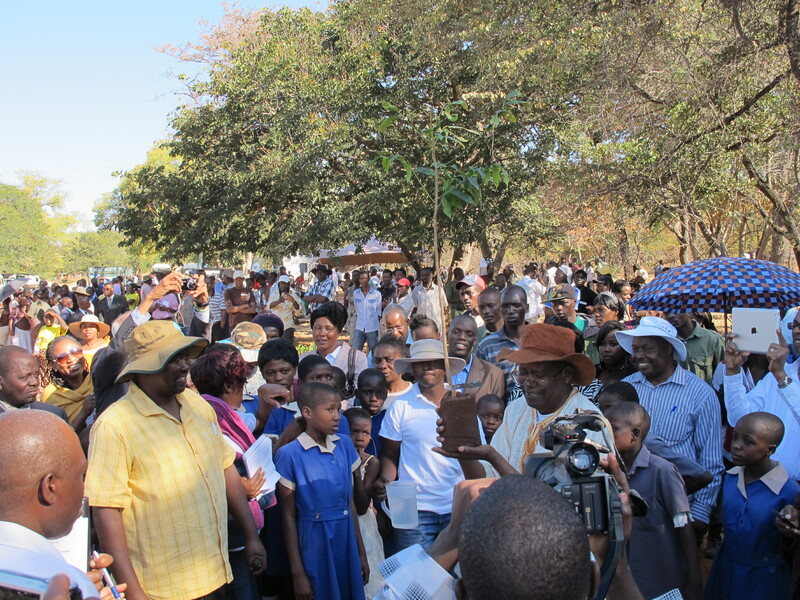 Governor and Resident Minister for Matabeleland North Province, Cde Thokozile Mathuthu (Photo by: Matt Andrea). 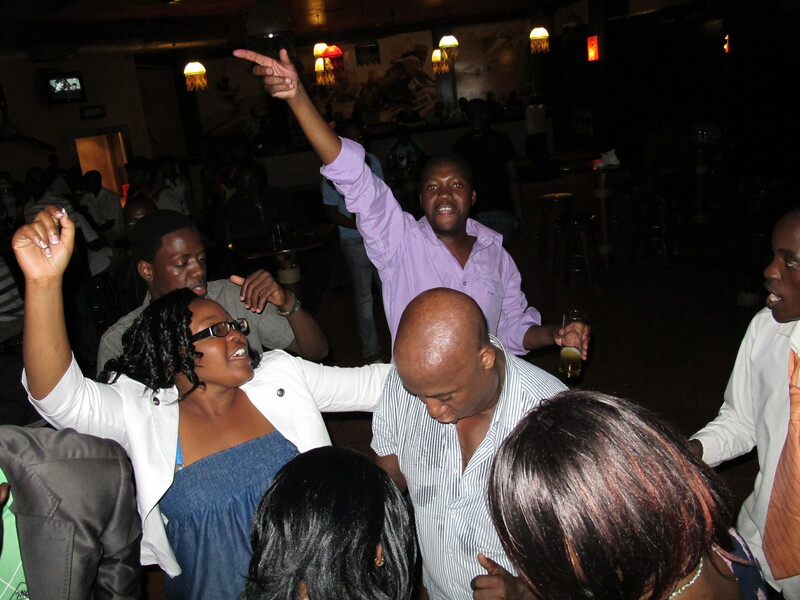 Mrs. Marah Hativagone, Chair of the Zimbabwe Tourism Authority Board (Photo by: Matt Andrea). ATA board members plant a tree on behalf of all members of the organization (Photo by: Matt Andrea). 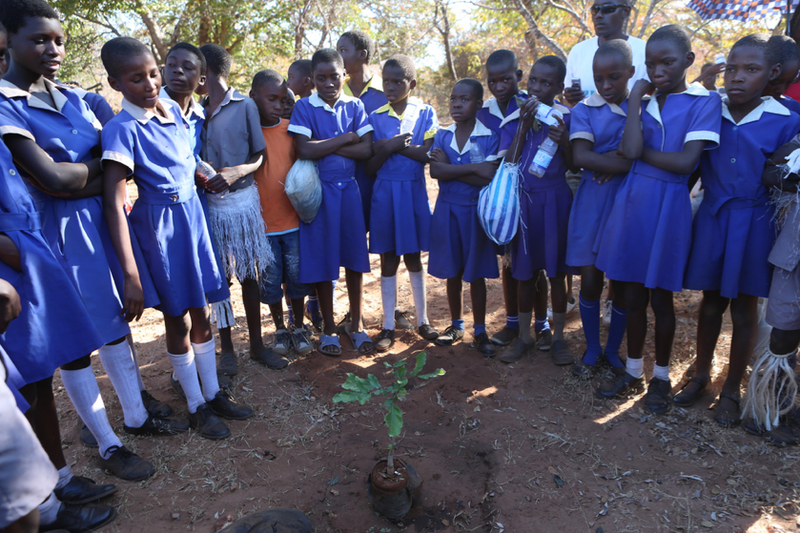 Primary school children at the Tree Planting Ceremony (Photo by: Matt Andrea). One of the eight trees planted on May 20th, 2012. 1,992 to go! One of 2,000 trees to be planted to offset the carbon footprint of ATA’s 37th Annual Congress (Photo by: Andrea Papitto). 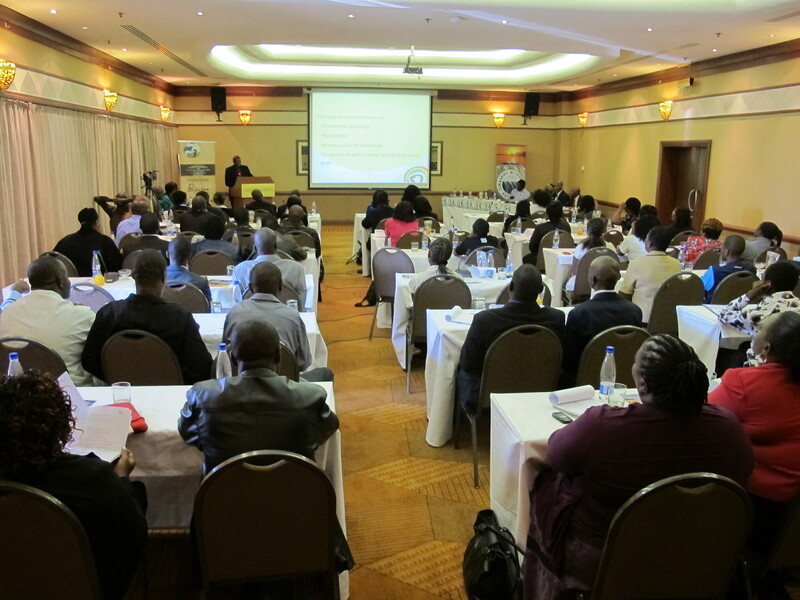 The conference room at Elephant Hills Hotel was buzzing with excitement and anticipation as young professionals, students, and industry leaders from across Zimbabwe, Africa, and the U.S. kicked off ATA’s Congress with the Third Annual Young Professionals Program (YPP) Forum on Friday, May 18th, 2012. Breaking past attendance records, over 100 students and young professionals from the tourism and hospitality sector came together to discuss the most pressing issues for youth. A packed house at the YPP Forum (Photo by: Andrea Papitto). 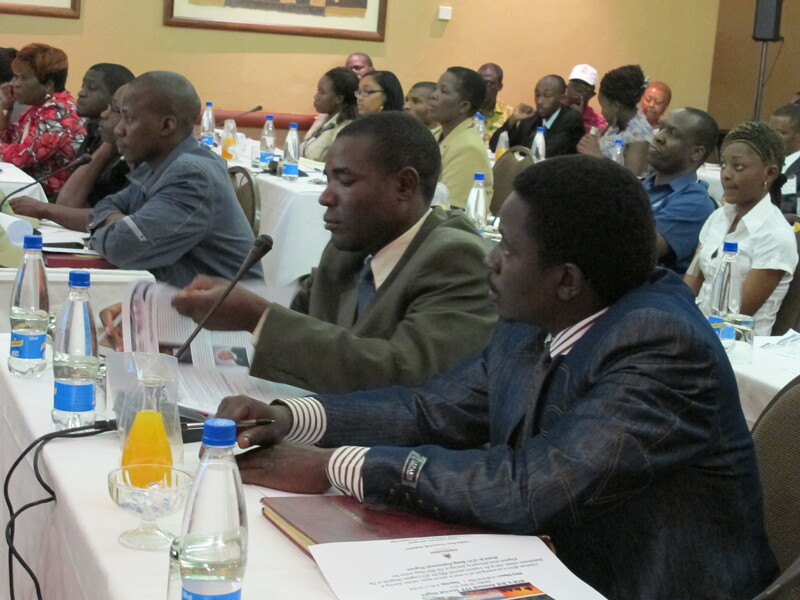 The tone for the YPP Forum was set by two engaging and knowledgeable moderators from the Zimbabwean tourism industry—Ms. 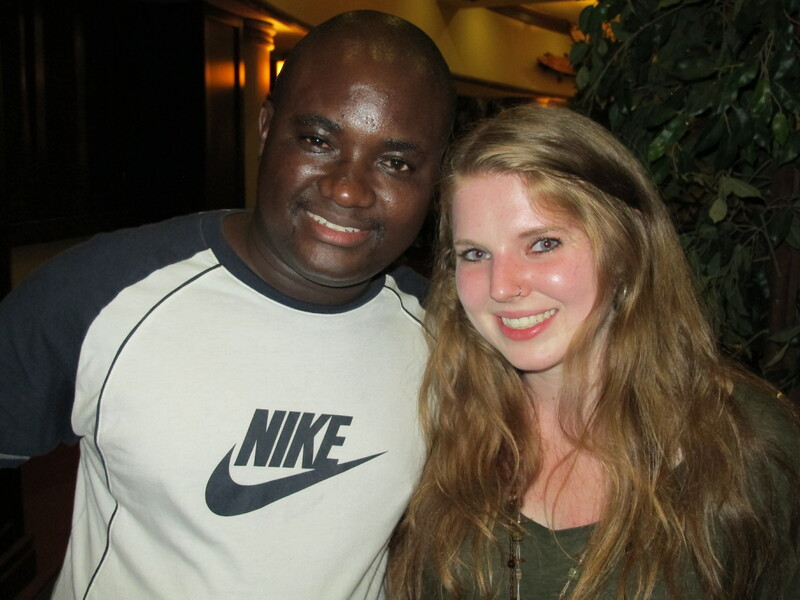 Rumbidzai Mudzengerere, Northern Region Marketing Executive for the Zimbabwe Tourism Authority, and Mr. Hugh Mandizha, Food & Beverage Manager of the A’Zambezi River Lodge in Victoria Falls. 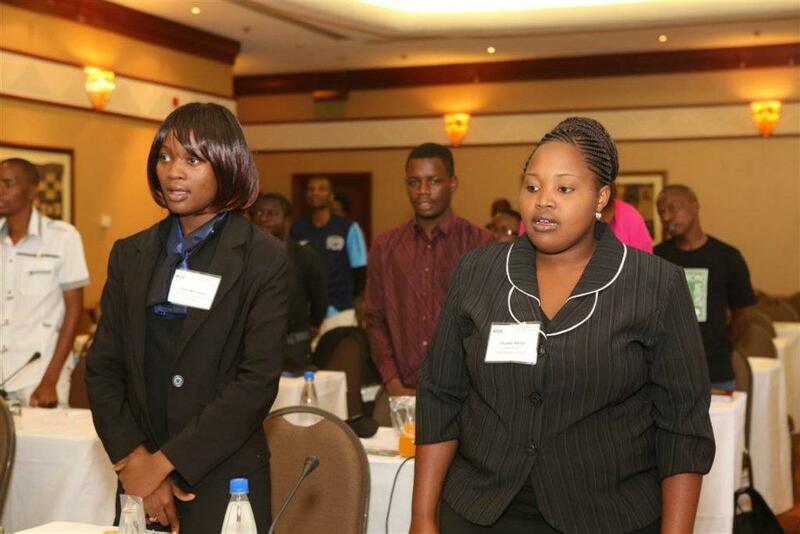 Ms. Rumbidzai Mudzengerere lead the delegates in singing the Zimbabwean national anthem. 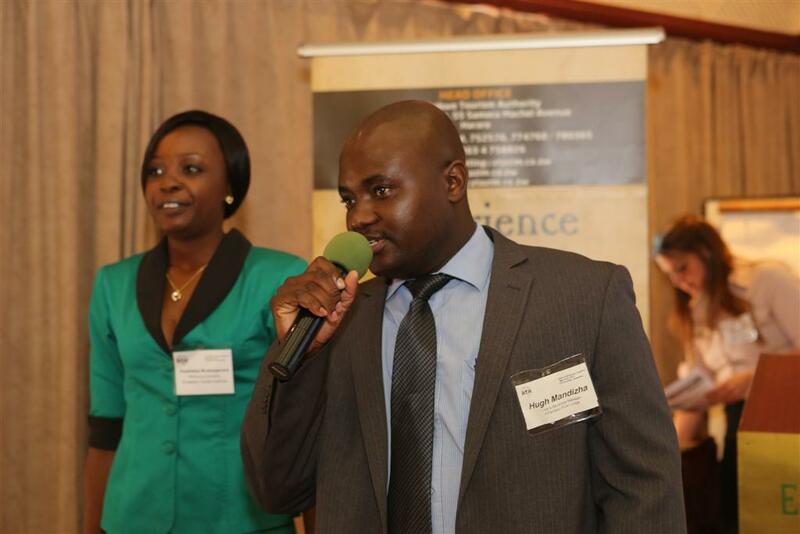 Moderators Mr. Hugh Mandizha, Food & Beverage Manager, A’Zambezi River Lodge, & Ms. Rumbidzai Mudzengerere, Northern Region Marketing Executive, Zimbabwe Tourism Authority kick off the YPP Forum! (Photo by: Matt Andrea). YPP Forum delegates sing national anthem (Photo by: Matt Andrea). Dr. Yohannes Zeleke, ATA Mid-Atlantic Chapter President delivers opening remarks on behalf of ATA (Photo by: Matt Andrea). Ms. Robyn Deutsch, Coordinator, Miracle Corners of the World (MCW) Jacqueline’s Human Rights Corner (Photo by: Martha O’Donovan). Dr. Thokozile Chitepo, Principal Director of the Ministry of Youth Development, Indigenization and Empowerment of the Republic of Zimbabwe, on behalf of Honorable Minister Saviour Kasukuwere, discussed placing the ethics of sustainability and ecological integrity at heart of African tourism. Dr. Thokozile Chitepo, Principal Director of the Ministry of Youth Development, Indigenization and Empowerment of the Republic of Zimbabwe (Photo by: Andrea Papitto). YPP Forum Delegates (Photo by: Martha O’Donovan). 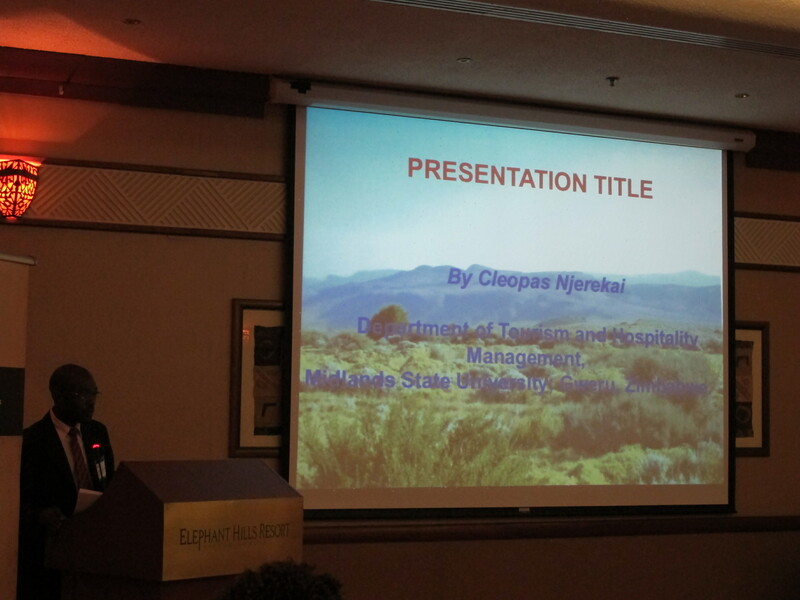 Professor Cleopas Njerekai of Midlands State University, Department of Tourism and Hospitality Management, gave delegates a solid background and framework for rural tourism development in Zimbabwe and across Africa. Professor Njerekai illustrated that rural tourism is tourism involving the countryside destination, encompassing local culture, traditions, and industries, as well as outdoor recreational actives and experiences that are staged in rural areas. 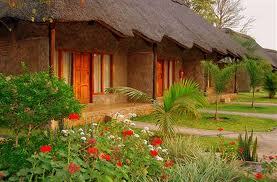 Contrary to mass tourism, local communities play a significant role in providing the rural tourism product. Professor Cleopas Njerekai, Lecturer at Midlands State University, Department of Tourism and Hospitality Management (Photo by: Martha O’Donovan). 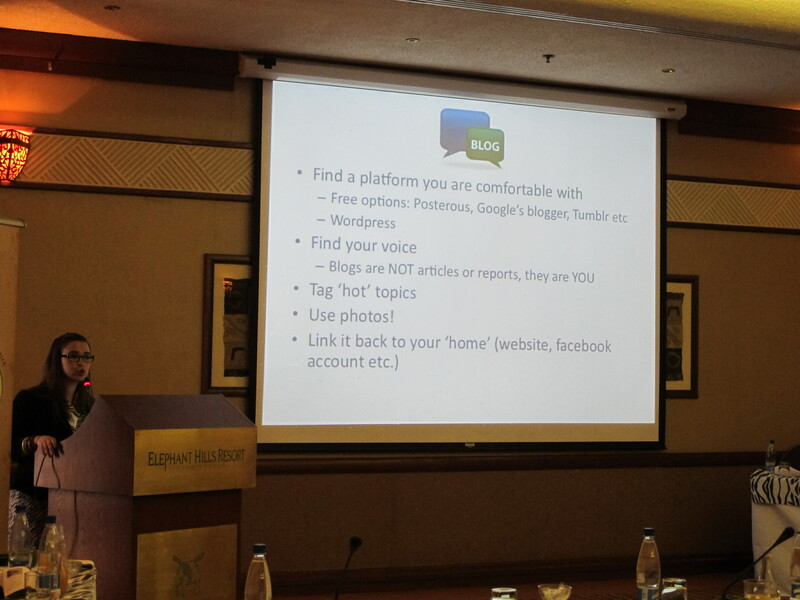 3) Return: What is the return we want from the redesign? What are our social return and our environmental return? YPP Forum Delegates (Photo by: Andrea Papitto). 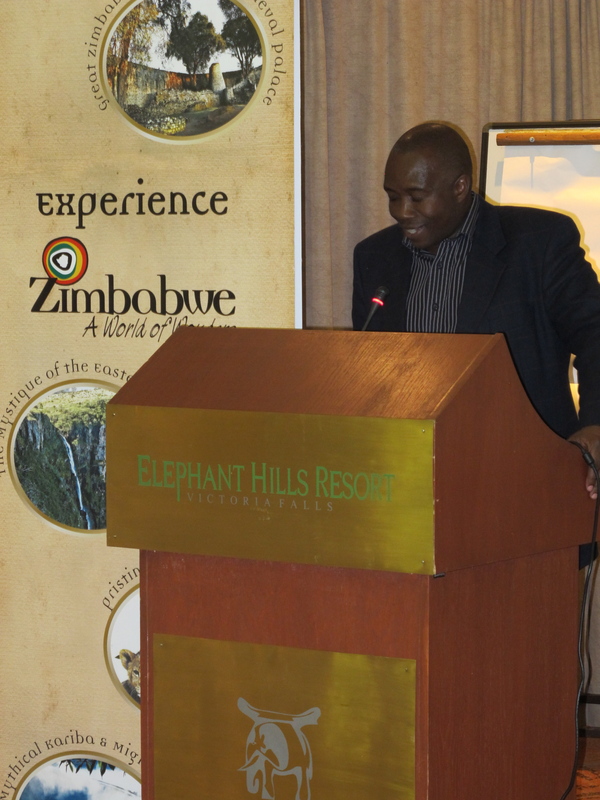 Mr. Givemore Chidzidzi, Chief Operating Officer, Zimbabwe Tourism Authority (Photo by: Andrea Papitto). ZImbabwe, A World of Wonders (Photo by: Andrea Papitto). “The forum presented the perfect platform for young people to express themselves, share ideas and interact on a social level. 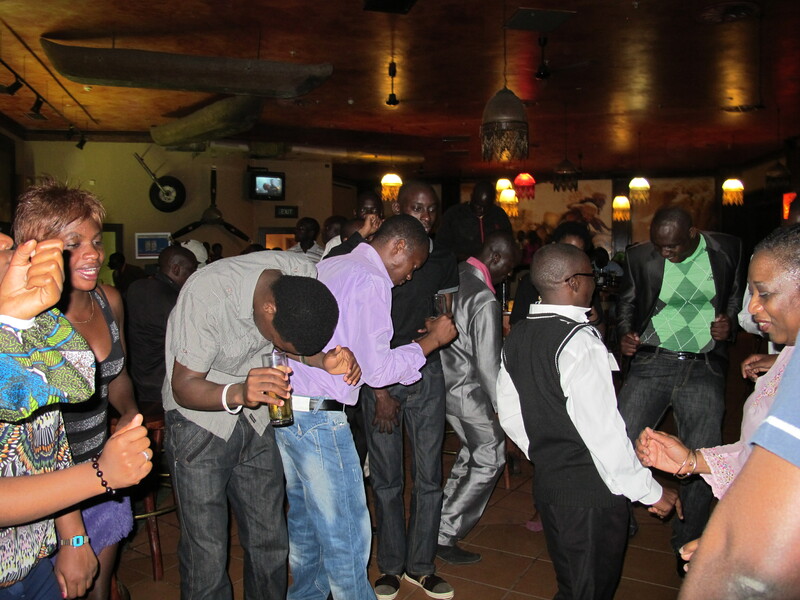 This was a huge success looking at the number of attendees at the events. 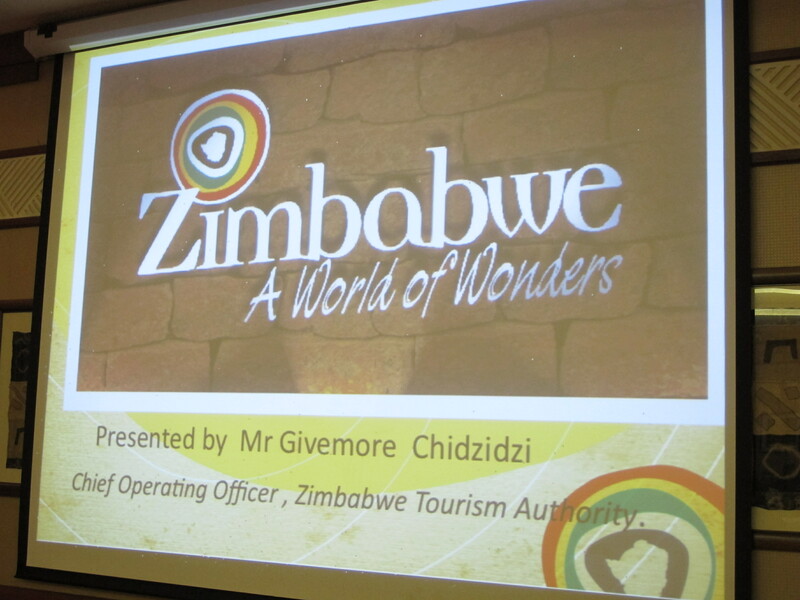 The ideas that came up show that the future of Zimbabwe’s tourism sector looks promising and that Africa is willing to go the extra mile in terms of development of infrastructure and technology to meet the world trends. 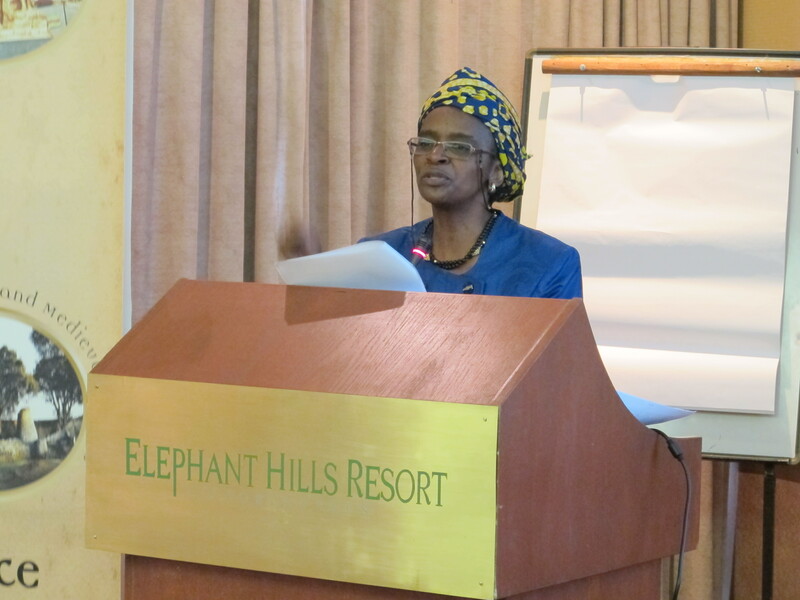 As for me, I am thrilled by the fact that Zimbabwe hosted the third session of ATA and is working to establish a chapter in our country to aid in the efforts to promote Zimbabwe as the preferred destination of choice,” said Ms. Mudzengerere. 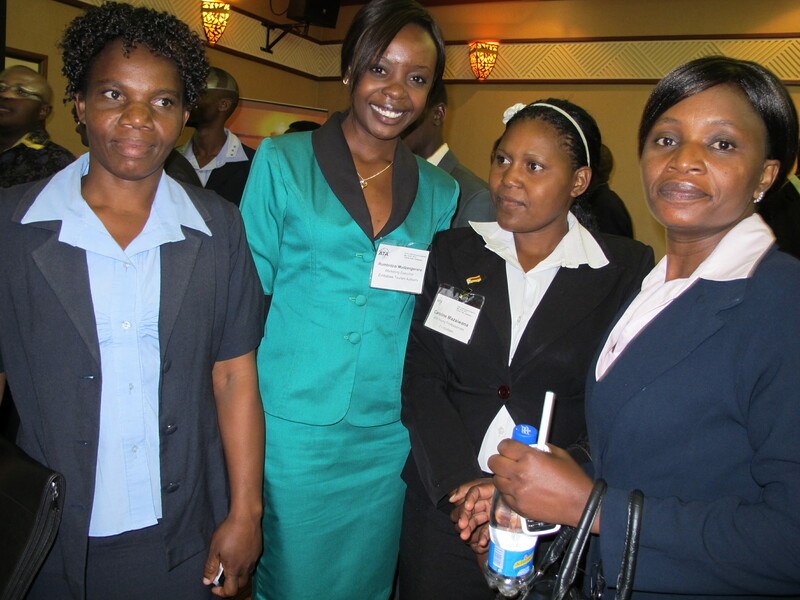 YPP Forum delegates with Moderator Ms. Rumbidzai Mudzengerere, Northern Region Marketing Executive, Zimbabwe Tourism Authority (Photo by: Andrea Papitto). 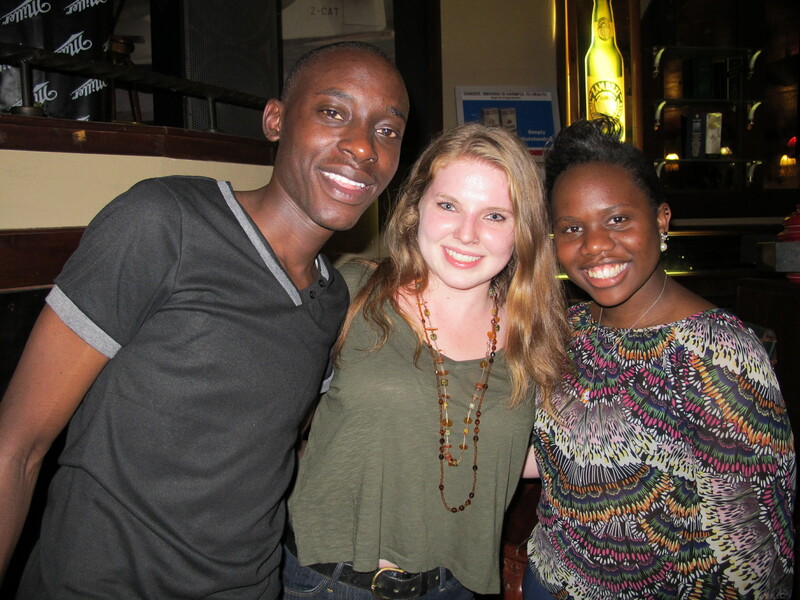 ATA looks forward to welcoming participants to the Young Professionals Program and to reuniting in 2013! 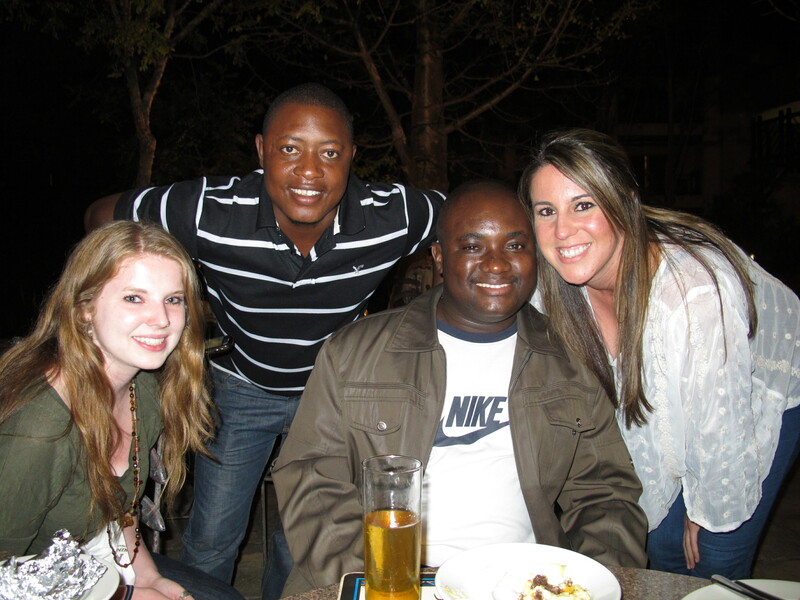 The vibrancy and leadership shown by the Zimbabwean youth and tourism and hospitality industry have paved the way for YPP initiatives for years to come! 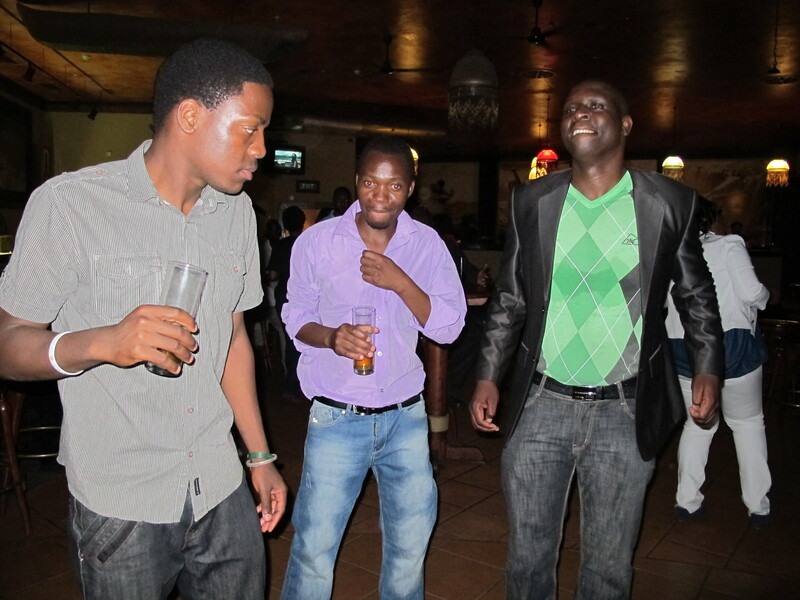 Ndatenda! 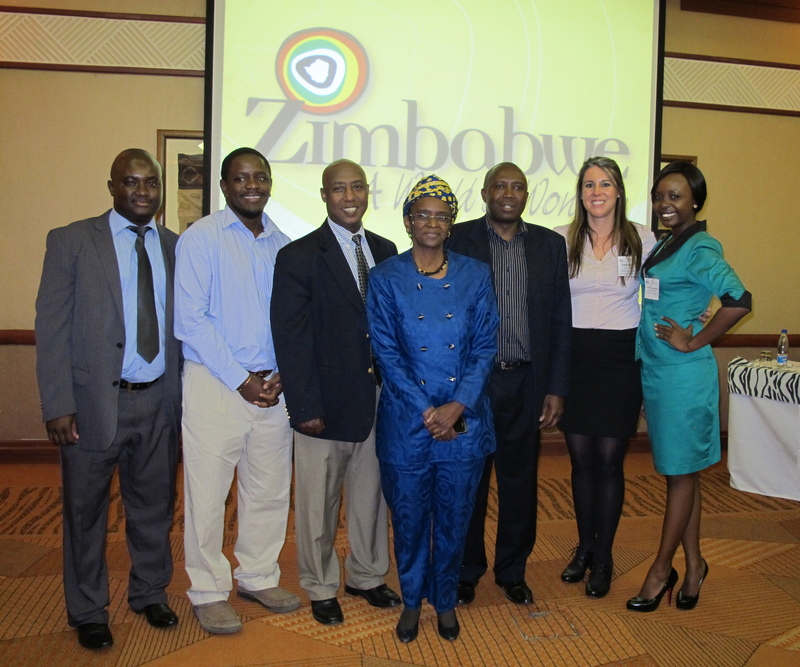 YPP Forum Speakers (L-R), Moderator Mr. Hugh Mandizha, Mr. Dumisani Nyoni, Dr. Yohannes Zeleke, Dr. Thokozile Chitepo, Mr. Givemore Chidzidzi, Ms. Andrea Papitto, & Moderator Ms. Rumbidzai Mudzengerere. Not pictured Mr. Cleopas Njerekai & Ms. Robyn Deutsch. 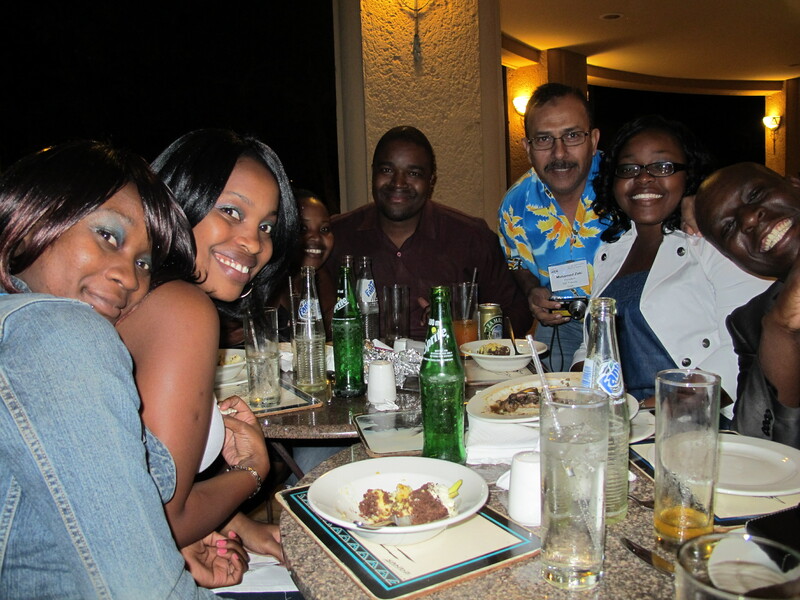 On May 22nd, 2012, ATA delegates enjoyed their second host country day. 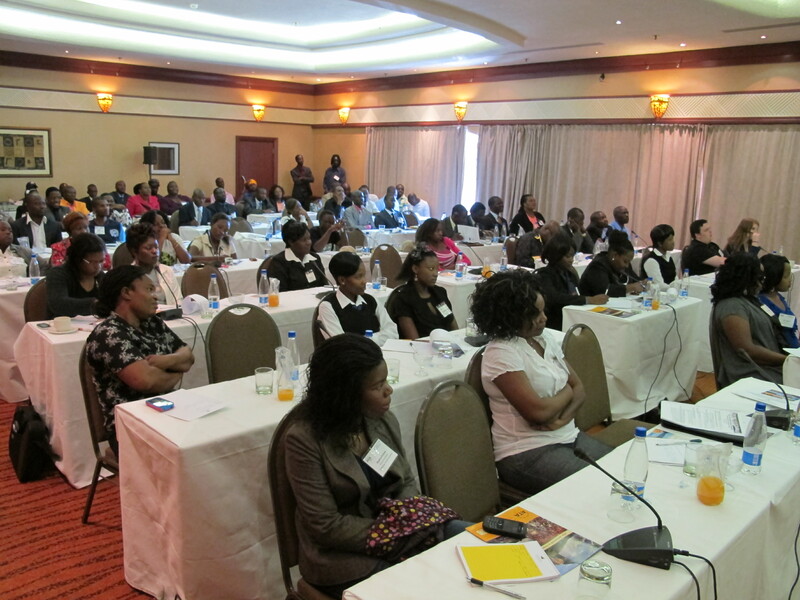 The most special part of the program was that it was jointly hosted by the Zimbabwe Tourism Authority and the Zambia Tourism Board. The partnership between these two neighboring countries, both of whom are ATA members, is an inspiring example of successful collaboration between partners who share tourism resources for the mutual benefit of tourism development. 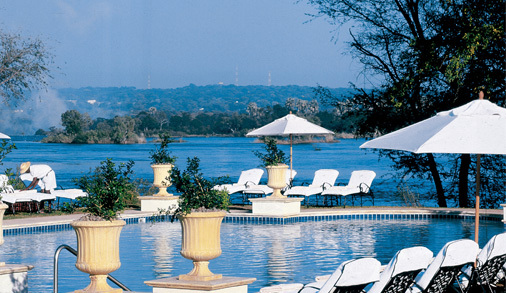 The day began with a quick and smooth bus trip over the Zambezi River to Livingstone, Zambia for a light lunch of roast chicken, nshima (mealie meal porridge) and local vegetables and cultural performance at the Chrismar Hotel (http://chrismarhotels.com/). 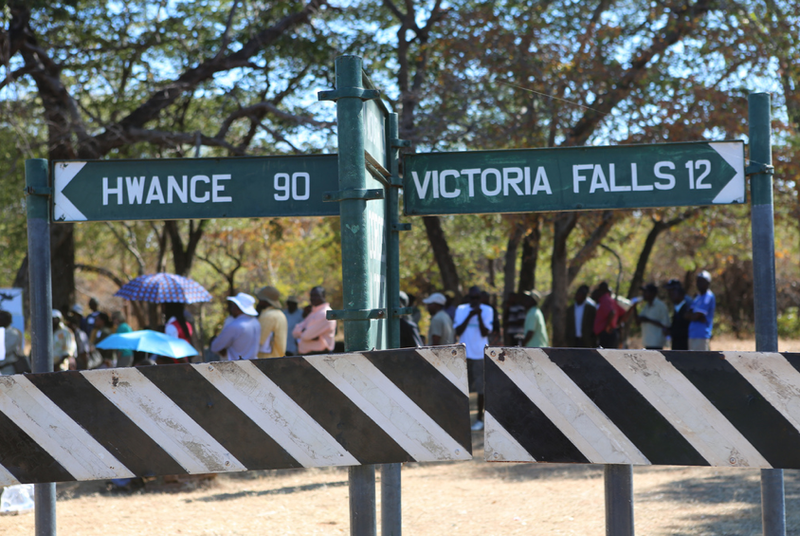 After the hotel tour, delegates were treated to a tour of the Royal Livingstone Express, a century-old luxury rail experience(http://www.royal-livingstone-express.com/). The museum is dedicated to preserving Livingstone’s strong railway heritage with old steam locomotives and vintage coaches that still run cross-country daily as well as railway memorabilia and old photographs illustrating life in the pioneer days of the town. 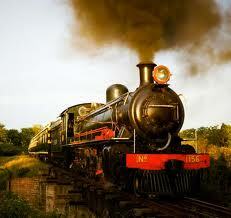 The Royal Livingstone Express (image from http://www.royal-livingstone-express.com/). 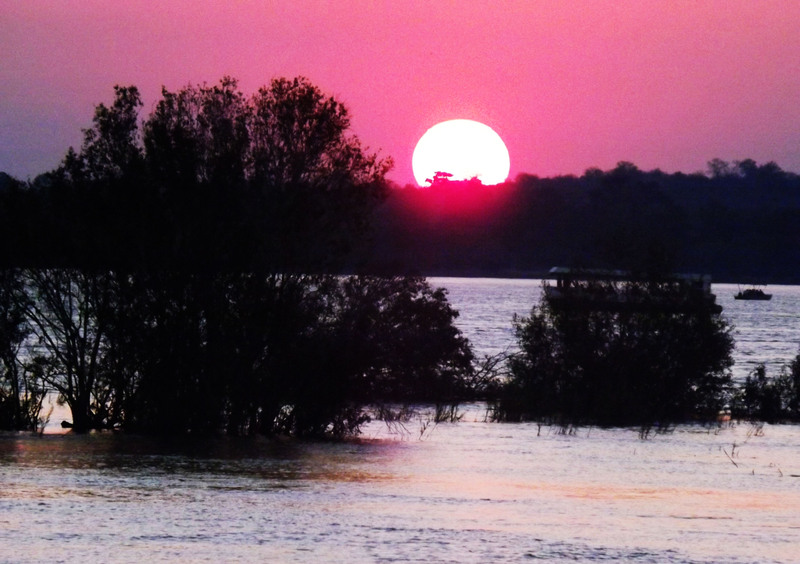 Then, it was time for us to return to Zimbabwe for a sunset cruise along the Zambezi River, an experience that none of us will soon forget. 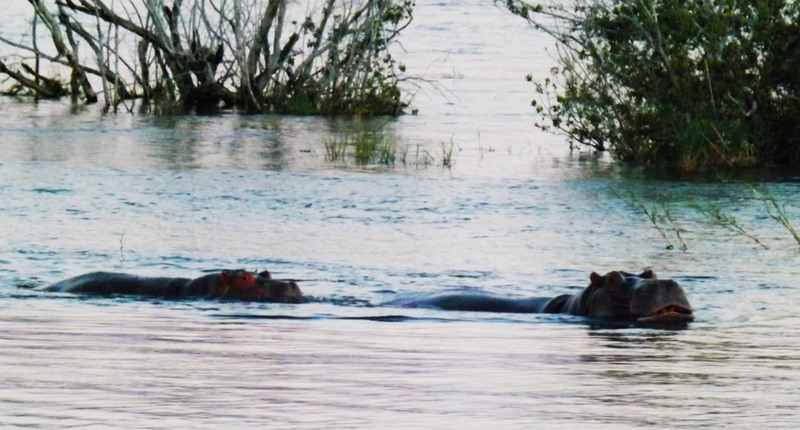 We enjoyed views of many hippos and the most beautiful African sunset one can imagine. 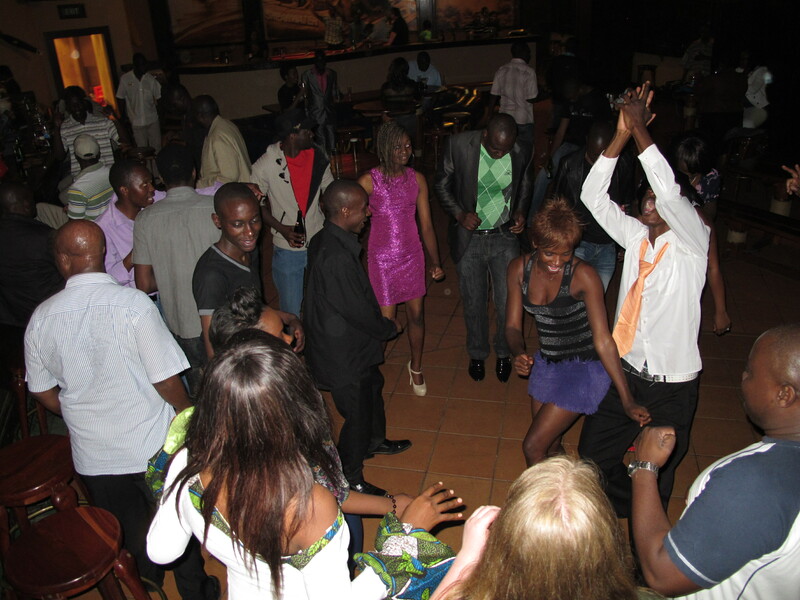 The cruise offered the perfect opportunity for the delegates to reflect on the action-packed program we have experienced this week: from sessions, workshops and roundtables focusing on different tourism themes and issues; to an African culinary experience; to visiting the mighty Victoria Falls; to social events and networking opportunities and so much more…one sentiment was shared by all: appreciation of our experience and excitement to work together in the future to promote travel and tourism to and across Africa. 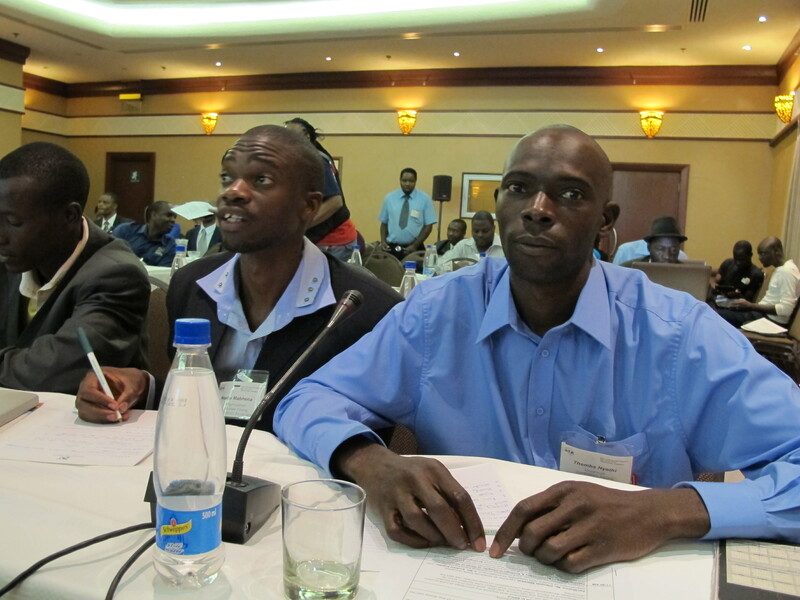 Today’s host country day also marked the end of ATA’s 37th Annual World Congress in Victoria Falls.